XV, 616 p., 17,6 x 24,5 cm. 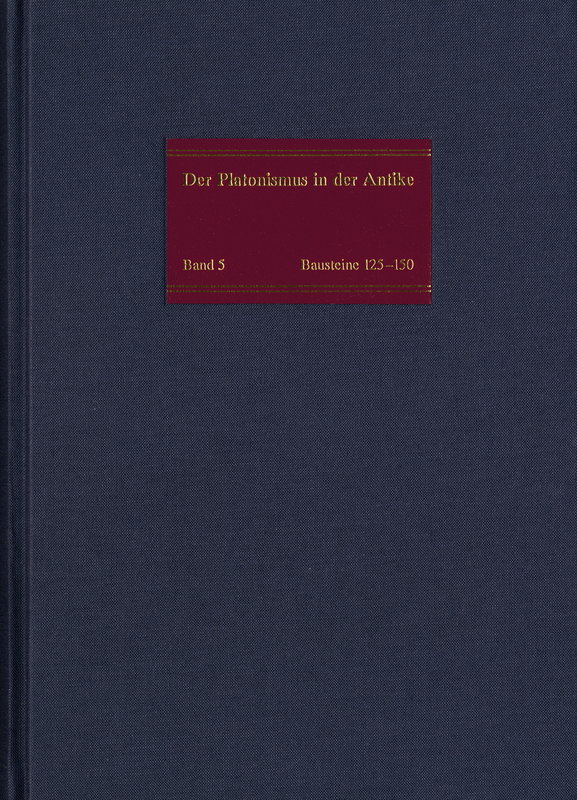 This volume examines three extremely important problems of ancient Platonism: the theory of forms (125-135), the theory of the origin of the world (136-145) and the theory of the elements (146-150). Dealing as it does in its first section with Platonic principles, this volume is linked directly to the fourth volume. In discussing the theory of the origin of the world and of the elements, it also forges a link to the sixth volume, which will deal with the soul. Baltes has assembled all the essential passages that survive, translating them lucidly and accurately, and adorning them with copious commentary.